After bottoming out in the first quarter of 2013, European retail sales have been trending upward in 2014, posting the best year-over-year gains in June 2014 that this region of the globe has seen in seven years. Retail shoppers in France, Germany, Austria, and Poland have been driving the European retail economy higher, by spending more on both food and non-food merchandise in 2014. Long after the U.S. retail industry recovered to pre-recessionary levels the biggest Europe-based retailers are happy for the bounce which puts them back on the trajectory to effectively compete with the world’s largest retail chains on the global retail stage. 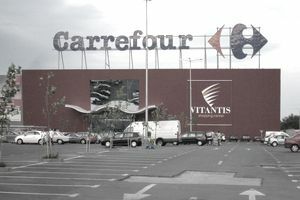 Three of the 10 largest retailers in the world are European based retail chains. That’s according to the 2014 Global Powers of Retailing list, an annual report published by Deloitte Touche Tohmatsu and STORES Magazine which ranks the 250 largest global retailers according to annual revenue. What follows is complete list of the largest retail chains in each country of Europe which were ranked on the 2014 Global Powers of Retailing list. The number in the left column is the global ranking number assigned to the company, based on its revenue figures, compared to the other 250 largest retail organizations worldwide. Click to the links to get more information about the largest European retailers, and to view more 2014 Largest Retail Chain revenue ranking lists. 58 X5 Retail Group N.V.
67 Jeronimo Martins, SGPS S.A.
167 BIM Birlesik Magazalar A.S.
121 Etn Franz Colruyt N.V..
139 Sonae Distribuicao SGPS S.A.
149 Groupe Galeries Lafayette S.A.
189 Maxeda Retail Group B.V.
208 Poslovni Sistern Mercator, d.d.